One of the worst nightmares any parent can experience is a missing child. It’s awful to imagine that it can happen. Being prepared is important in case the nightmare ever becomes a reality. 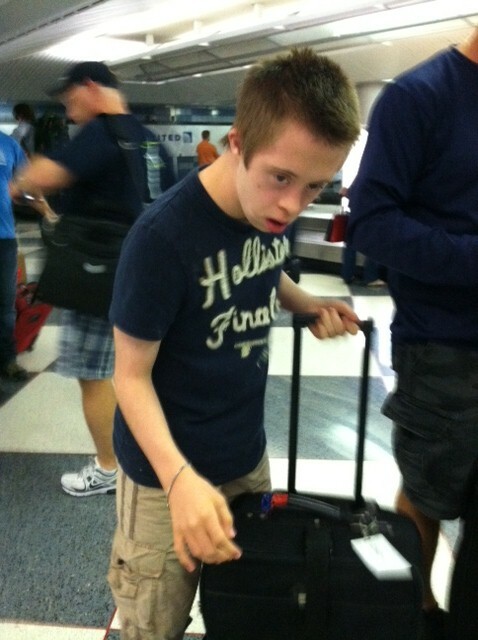 A few weeks ago in Blog #60~Wandering and Autism @https://nickspecialneeds.wordpress.com/2013/07/01/blog-60wandering-and-autism/ I wrote about a personal experience we had when Nick took off and provided some safety tips and links. This week I want to expand on this topic and provide more resources that I have found. I placed a call to our local police department here in Aurora, IL to see what systems they had in place for dealing with a lost child who has special needs. The detective assured me that all missing child cases are handled as high priority. Canine units are also utilized in searches as well. I found it interesting that all intersections are equipped with cameras that are monitored 24/7. Since this phone call I have provided the police department with the vital information about my son Nick, who has Down syndrome and autism. Child’s diagnosis/ is the child verbal or non-verbal? Our address is now flagged in the department’s data base with this information. Check with your local police department to see what system they have in place. Some departments such as nearby Naperville and Plainfield, IL both offer the GPS bracelets (through the police departments) for special needs kids and the elderly with a tendency to wander. The bracelet costs about $150. 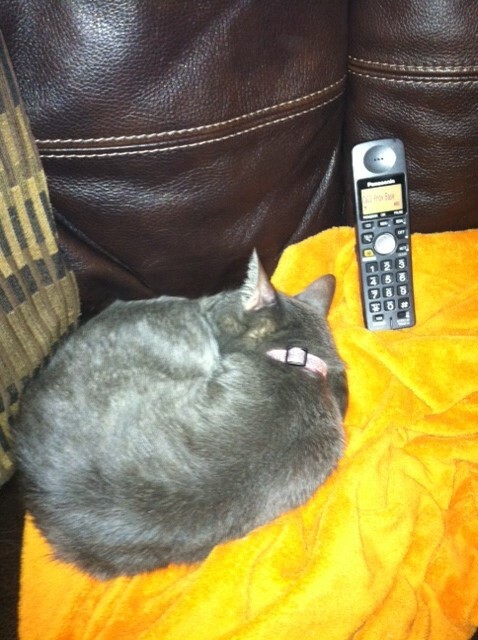 Radio monitoring kicks in upon calling 911. There is no cost and the police are in charge of this. 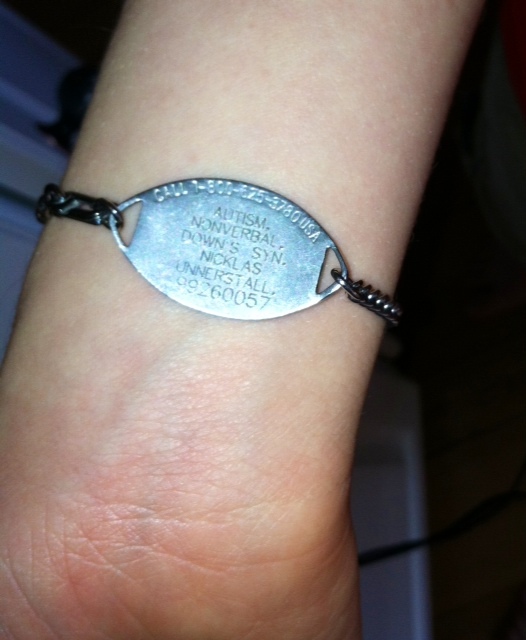 If there is a financial hardship, check to see if the department will waive the cost of the bracelet. The device is called Care-Trak (www.caretrak.com). iPhone Baby Monitor ($4.99) acts much like a baby monitor does to watch your child while they are sleeping. 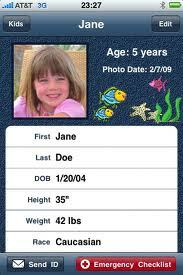 Kids ID ($3.99) Takes recent pictures of your kids so they are readily available, plus you can input their size, medical history, and other important data that would help law enforcement find your child as soon as possible. The app allows you to send all of your child’s information directly to law-enforcement agencies. KidStatz ($0.99) provides you with the opportunity to store information about your kids in the iPhone that can later be shared with law enforcement if they go missing. As with Kids ID, the app lets you to take a picture of your kids, input important identifying information, what kind of medical conditions they have, and any birth marks or other identifying information that might help law enforcement find your children. The app also provides a way to e-mail or call law enforcement to quickly react to your missing child. Pictures and videos of your child in a natural setting (not forced smiles) are advisable to have available for officers as well. If your child is drawn to anything (railroad, water, small spaces, etc..) be sure to include that information to the police department. Being prepared and proactive is vital if you have a child who wanders or likes to bolt. I hope these tips and links will help insure the safety of all children and especially those who have autism and other special needs. That’s what is in my noggin this week! 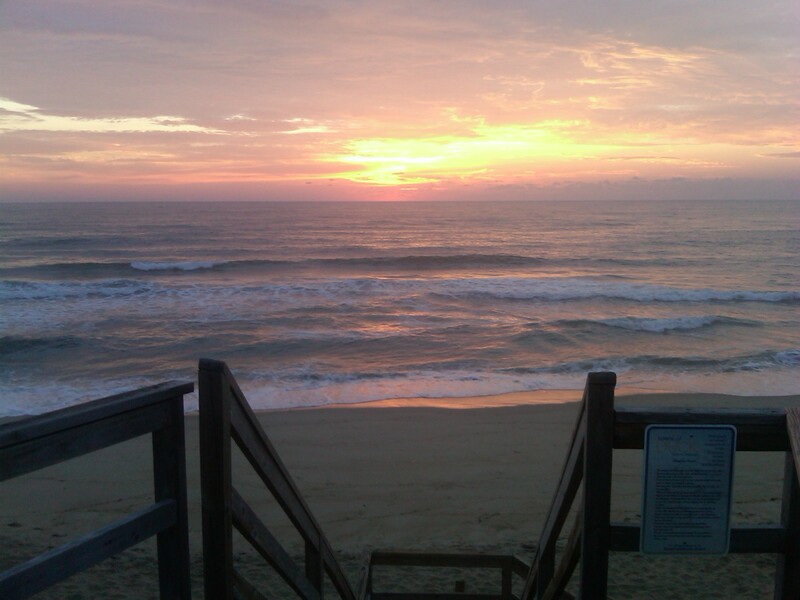 Time for a summer break. I will be taking the next two weeks off. There are 61 blogs available in the archives to enjoy in the meantime. 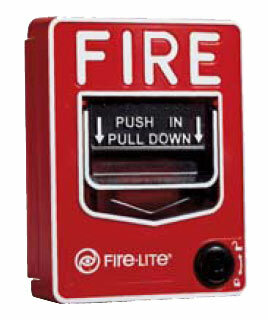 One final update for you…….The little stinker managed to pull another fire alarm at summer school last week. That’s number 28 for those of you keeping score at home. 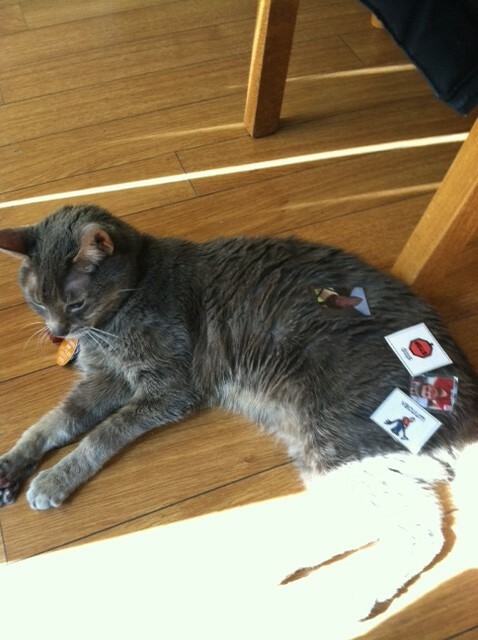 In Blog #33~Stuff On My Cat (located in the December 2012 Archives), I wrote and shared numerous pictures of random objects we put on our cats over the years. Why do we do this? I have to embrace Mario Garza’s philosophy to answer this one. 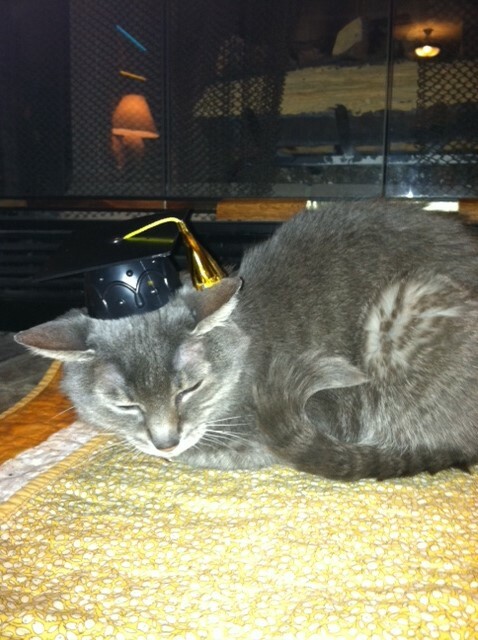 Our cats rule the house. Sleeping all day long wherever the sun radiates, claiming the fresh, warm laundry as their “personal paradise” and plopping on your lap even if you just want to sit down for a second. 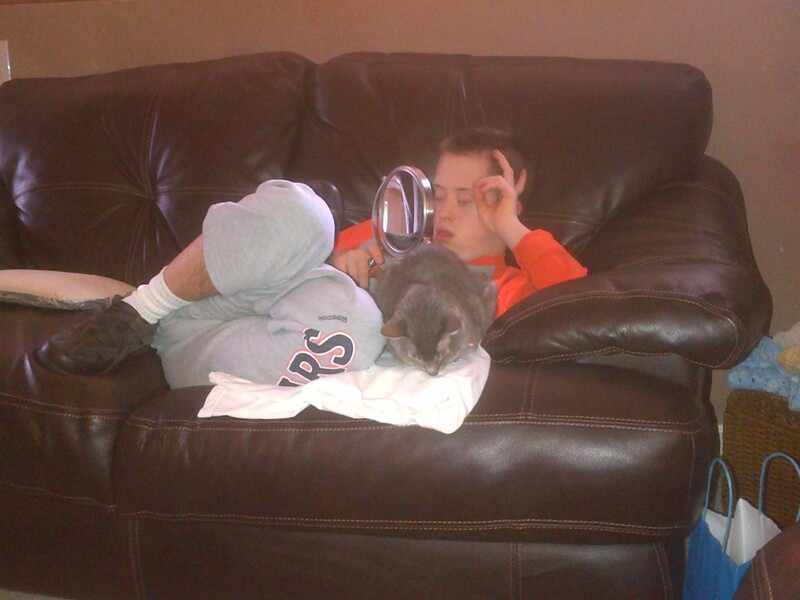 Nick loves to do this too, he is 19 and has Down syndrome and autism. 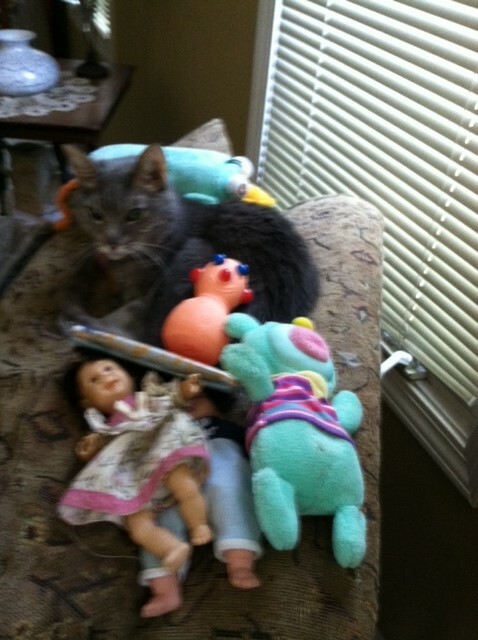 Here are some of the stunts he’s pulled on our 16+ year old tabby……..
Mellie has some company, Nick’s plush animals and a Taco Bell dog…. Another deluge of toys along with a package of microwave popcorn…..
More fun with PECS icons….Nick mapped out his agenda last Friday……. 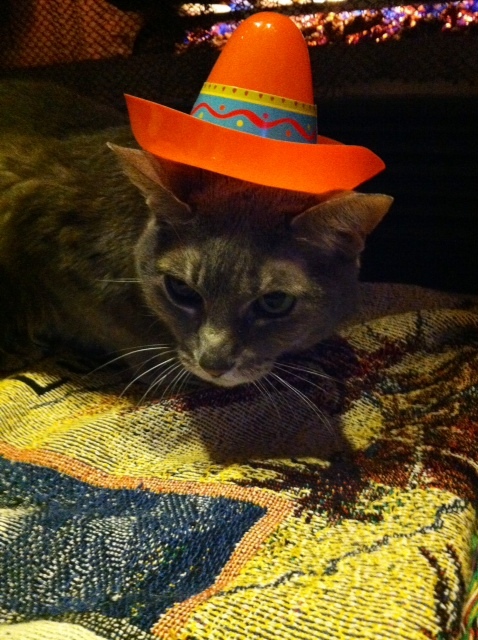 Cinco de Mayo Mellie….. Ole! 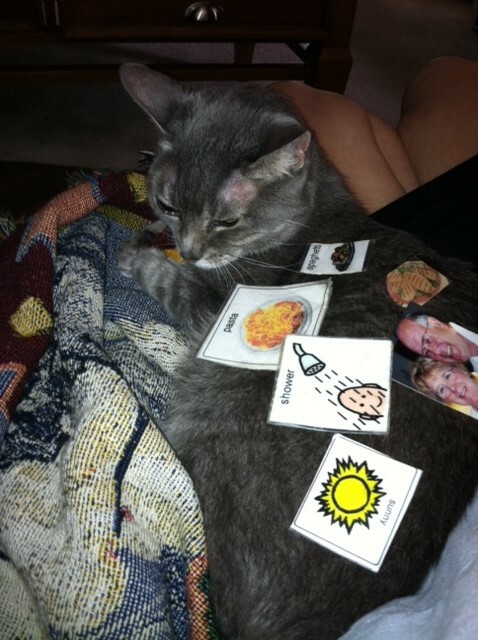 Hope you enjoyed the second installment of stuff on my cat. Next week I will get back to part two of “Wandering and Autism”. 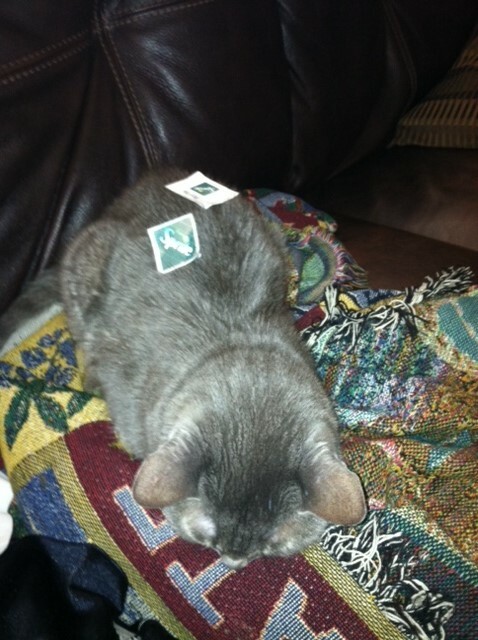 Sometimes its fun to be mischievous. 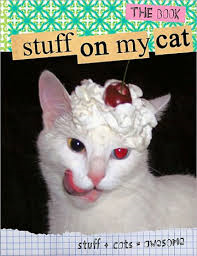 That’s what is in my noggin this week, meow! A lost child is a parent’s worst nightmare. Sadly, the headlines above are just a sample of instances involving wandering/elopement and autism all over the country. I understand this fear all too well. 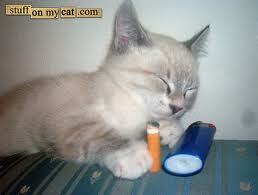 There have been a several occasions where Nick has wandered, taken off at the pool and bolted down the street. 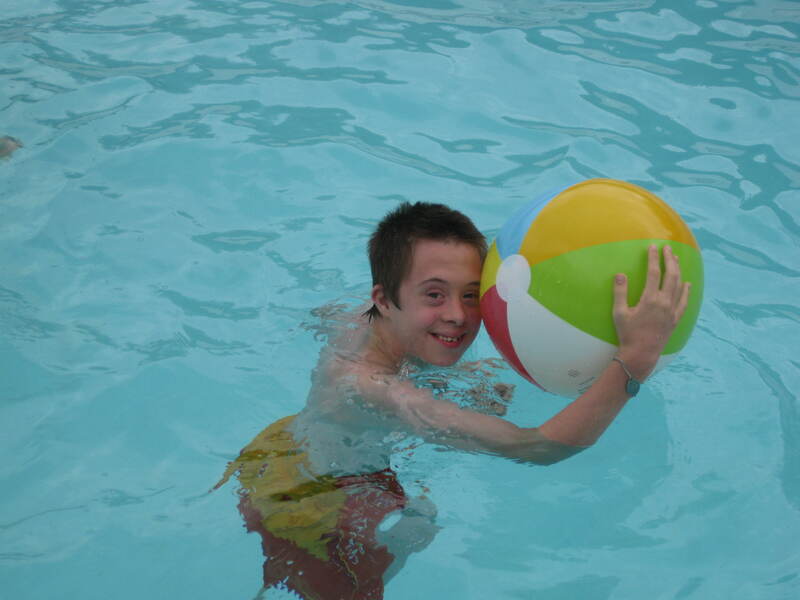 Nick is 19 years old and has a dual diagnosis of Down syndrome and autism (DS-ASD). He has deficits in the areas of language and cognitive function which limits his understanding of safety. He has no concept of danger. One day when Nick 11 years old he was on the swing set in the backyard. His Dad stepped inside to grab a baseball hat for a second. Something made me stop and put down the garden shovel next to the flat of flowers. 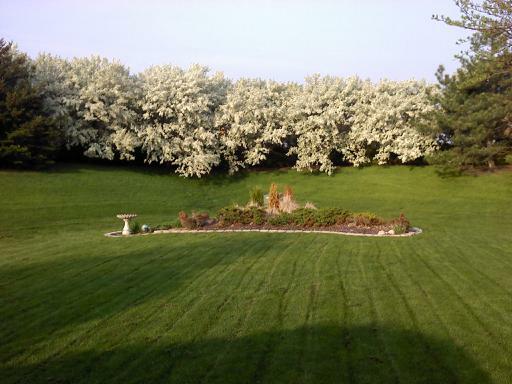 I walked around to the backyard. 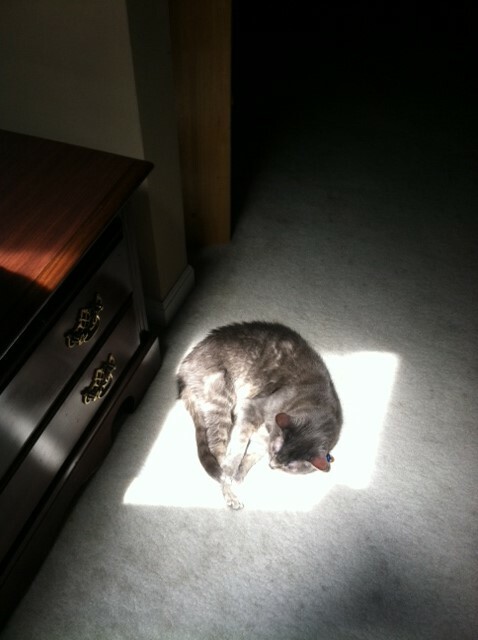 He was gone. I felt a hot wave run through my body as I climbed up the burm, the slow crested hill that separated the backyard from the busy street. Al had recently ruptured his Achilles tendon and was wearing a therapy boot. He hobbled up slowly behind me. There was nothing but a stream of fast-moving cars pacing the road behind our house. He just kept going. My strides turned into leaps. I caught up with him 2 houses before he reached the subdivision entrance. He looked at me as if nothing was wrong. We walked in silence back home. I gripped his hand tightly and counted how many houses he had run passed. Final count=20 houses! It makes me sick to my stomach recalling that horrible day. 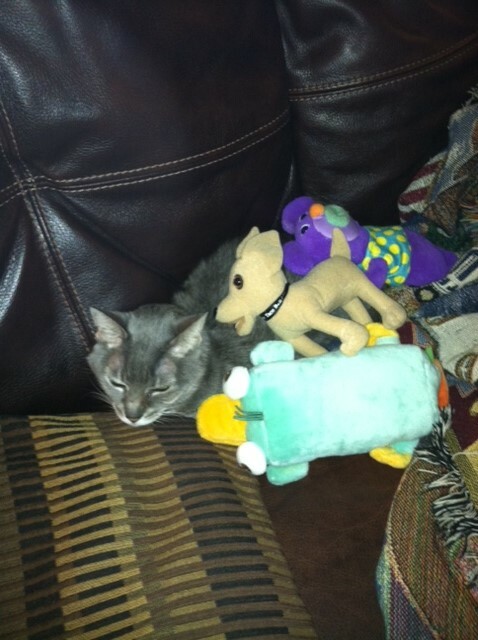 We have since put some things in place as a precaution to keep Nick safe. What can families do to insure the safety of their child? In my research, I found an excellent website called AWAARE which stands for Autism Wandering Awareness Alerts Response Education: www.awaare.org. This site has a comprehensive list of tips, materials and tools. Install secure door locks, home security systems, install inexpensive battery operated alarms on door and window to alert when opened. Place hook and eye locks on all doors above your childs reach. Fence in the yard and put visuals like stop signs to doors. 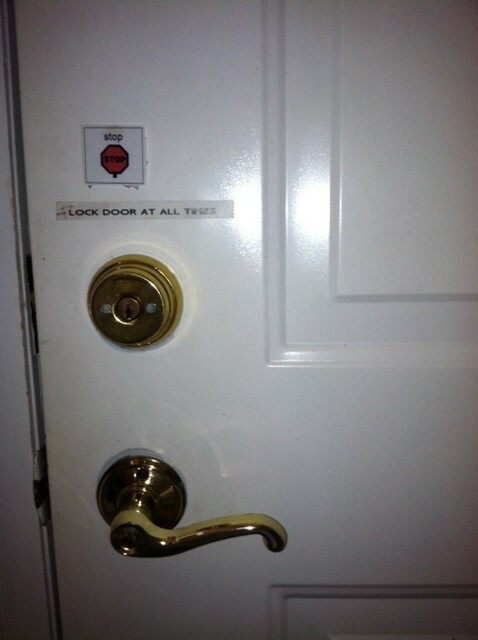 Here is what we have on our doors……. Medic Alert, www.medicalert.org is what Nick wears and it stays on him firm. Another popular bracelet is called Project Lifesaver, www.projectlifesaver.org. Project Lifesaver (https://projectlifesaver.org), Angel Sense https://www.angelsense.com) and LoJack SafetyNet (www.safetynetbylojack.com) services have wrist and ankle tracking devices. There are many other mobile GPS tracking systems you can purchase at Best Buy and other big box stores along with phone apps as well. See the resource page on the AWAARE website above for more information. 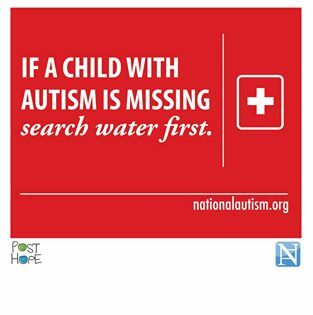 A large percentage of the headlines for wandering and autism end tragically because of drowning deaths. Children are often drawn to water. Check your local YMCA or special recreation association for swim lessons. Make a simple handout with your name, address, phone number, information about your child (autism, non-verbal etc….) and include a photograph of your child. Ask them to call you immediately if they see your child outside of your home. Provide the local police and fire stations with key information before an incident occurs. Ask your local police department if they have a data base and registration program for individuals with special needs. See the AWAARE website given above for printable handouts. There is also a free Big Red Safety Toolkit with free downloads on wandering and prevention. A BCBA certified behavior therapist can help with understanding the child’s goal and triggers that cause them to wander. The child may be trying to get to something they prefer, or avoid something they don’t want to do. When you can determine the function of this behavior, you can put supports and strategies in place to decrease wandering or bolting. If the behavior is occuring in school, address this with the IEP team and put measures in place to insure safety for your child. Nick still requires 24/7 supervision and the house is sealed up like Fort Knox. 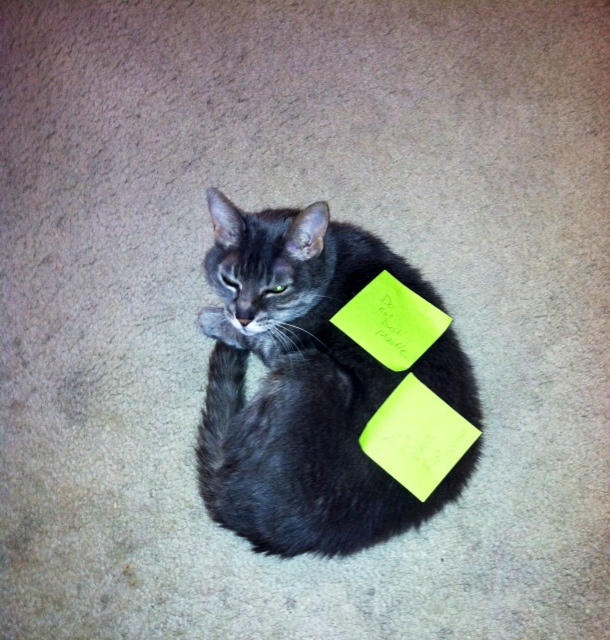 As a family we have to make sure there is always a designated watchman. 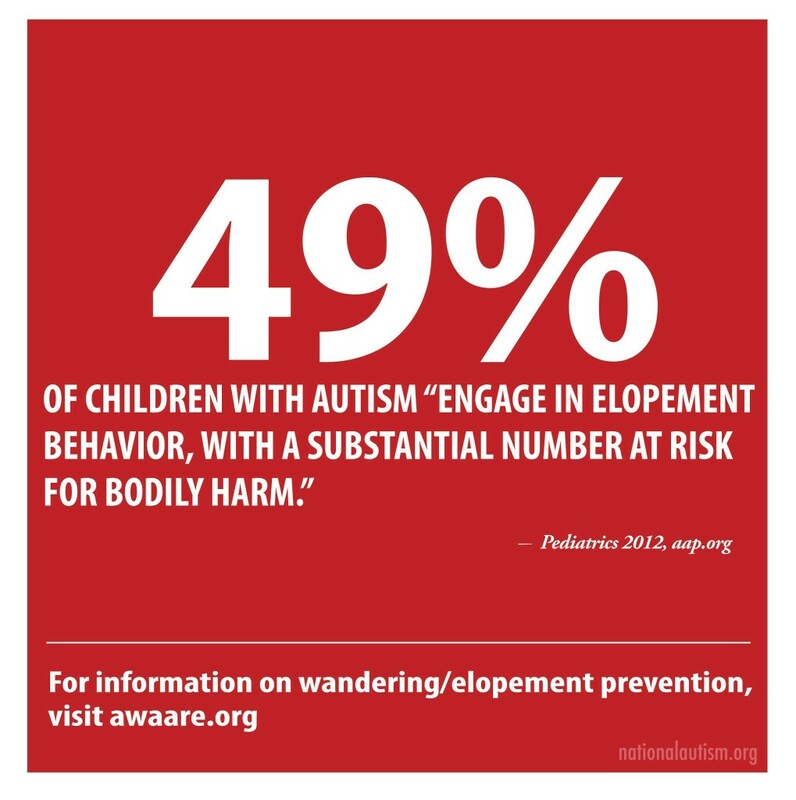 After doing this research on autism and wandering, I understand the necessity to be proactive and more responsible. Next stop: Make a call into the local police and fire stations to see what they have in place for wandering and persons with autism and other special needs in our community. Discussion of this topic needs to continue. 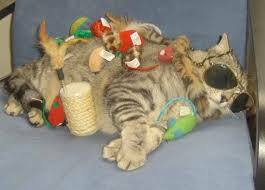 I will be researching more tracking and monitoring devices. Look for this on Part Two of Autism and Wandering within the next two weeks.